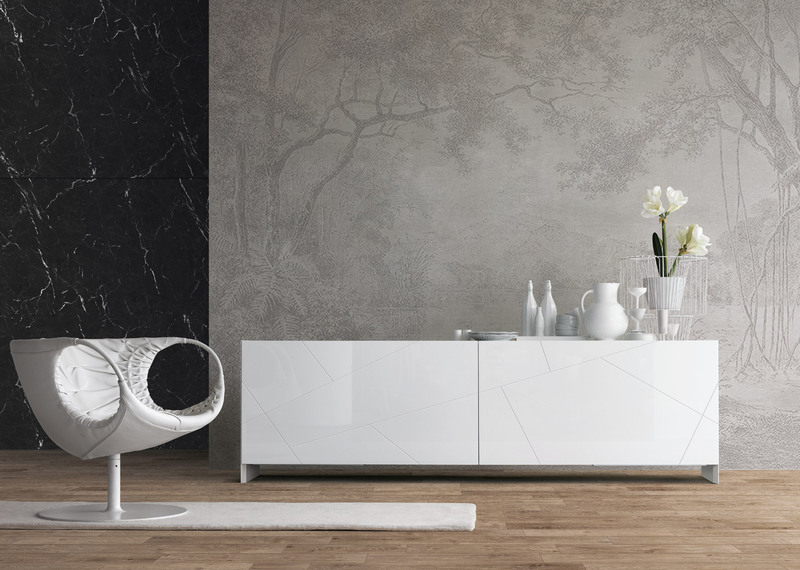 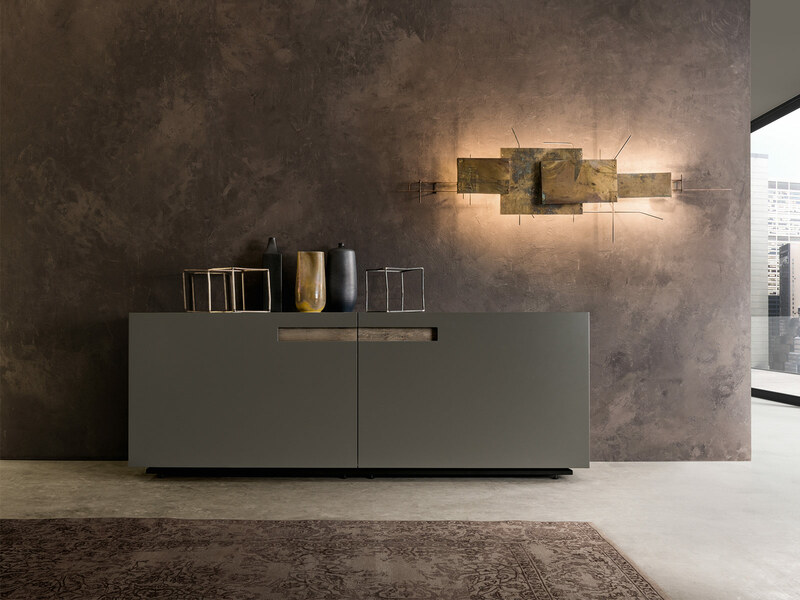 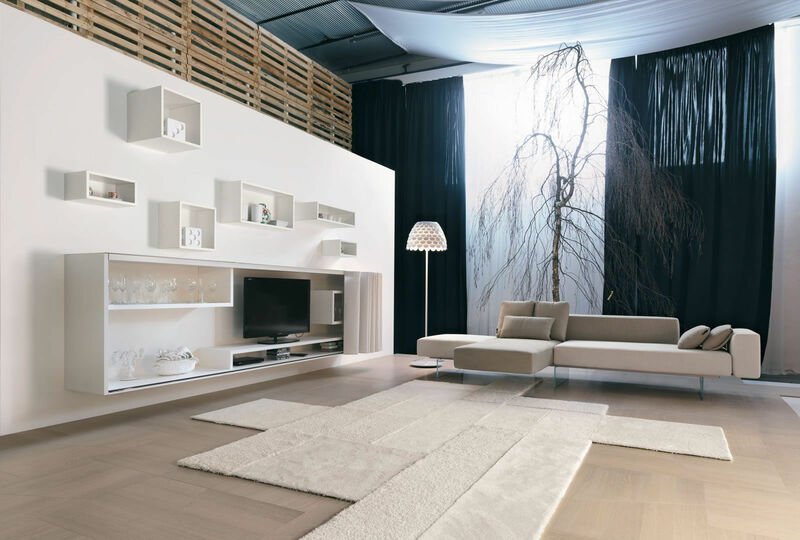 Mood coplanar sliding door sideboards is an example of where innovation and beauty are not casual aspects but are the result of an all-Italian production cycle made of excellent quality and style. 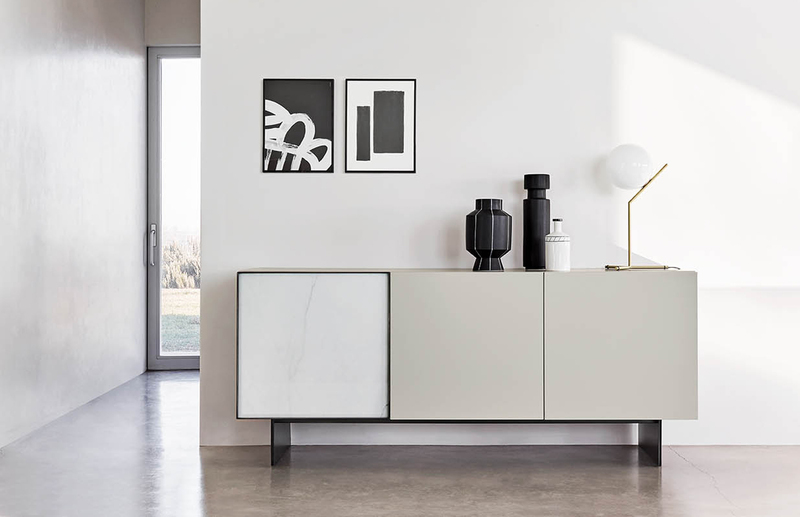 The sideboard Mood, is a highly customizable piece of furniture, not only due to selection of insert equipment but also thanks to a large selection of finish materials both for the structure and the handle insert. 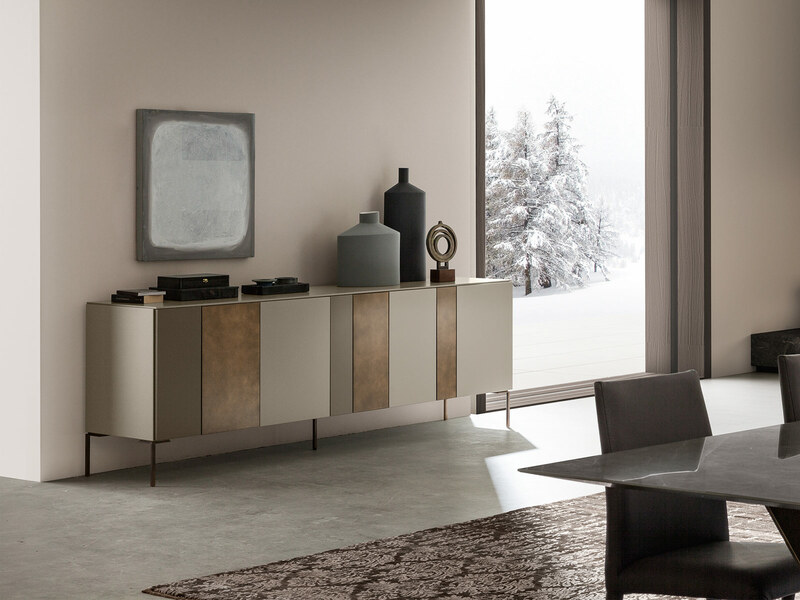 Structure and door available matt lacquered (34 colours), glossy lacquered (16 colours), metallic lacquer (2 colours) or ecomalta (5 colours). 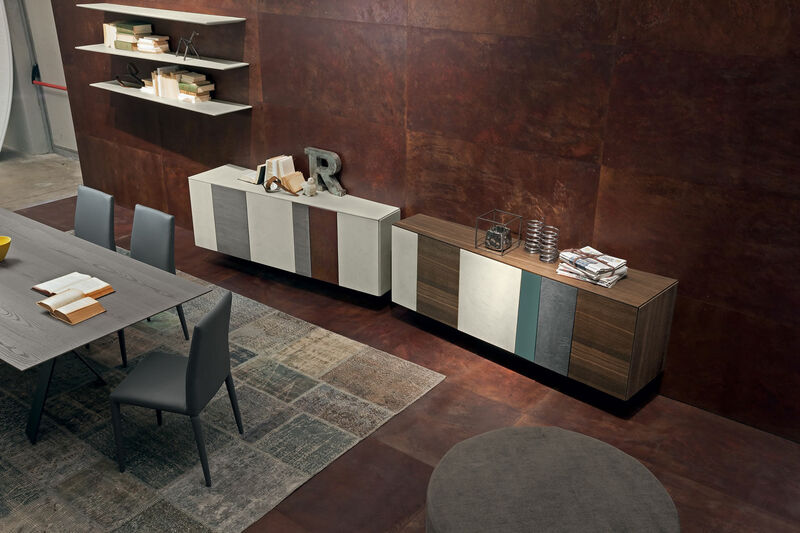 Handle insert available in all above mentioned finishes and also wood (6 oak colours + walnut), stone (3 colours) or timewood. 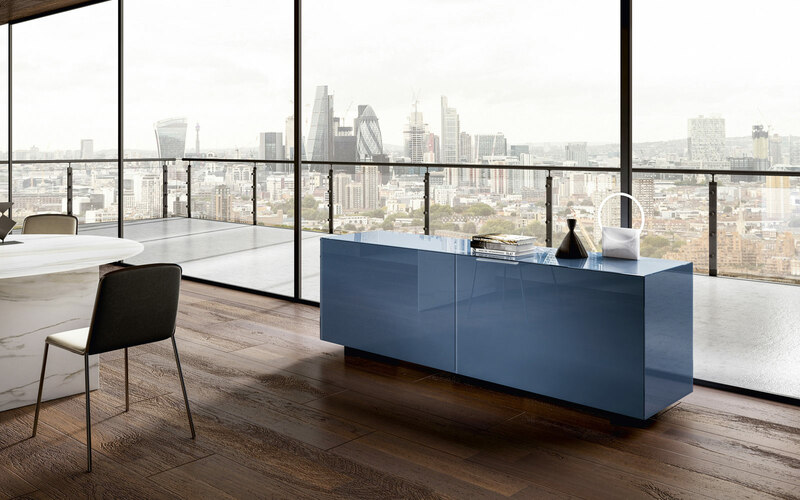 With Eco-Malta doors finish, structure and doors interiors are matt lacquered to match the Eco-malta finish. 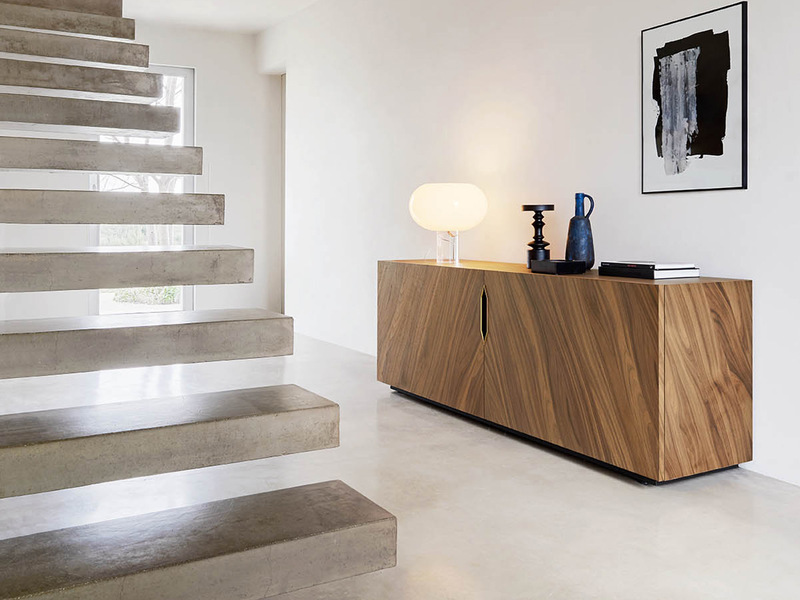 The plinth is in matt black lacquered metal.